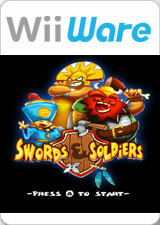 Swords & Soldiers is a 2D sidescrolling real-time strategy game by Ronimo Games. It was released in Europe on May 15, 2009, and in North America on June 8, 2009. The graph below charts the compatibility with Swords & Soldiers since Dolphin's 2.0 release, listing revisions only where a compatibility change occurred.